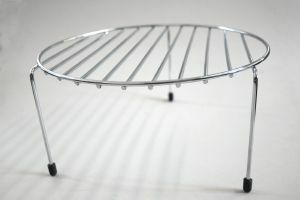 Panasonic High rack/trivet for combination microwave oven and grill. Part number E060T5870SP, Supersedes the original type E060V6520BP. Supplied with rubber feet fitted. NN-A873SB, NN-A872SB, NN-A850WB, NN-A713AB, NN-CT559WB, NN-CT569MB, NN-V682WB, NN-V682WB, NN-V681WB, NN-V651WB, NN-V653CB, NN-V673SB, NN-K687WB, NN-K805B, NN-K855B, NN-A524MF, NN-A850CB, NN-K657WB, NN-A554WF, NN-A574SF, NN-CT562MB, NN-CT552WF, NN-V689WB, NN-V689WB,NN-V659FB, NN-V659WB, NN-V671SB, NN-V663WB, NN-V659WB, NN-V653WB, NN-V651MB, NN-A823MB, NN-A813AB, NN-A811AB,NN-V629MB, NN-V613MB, NN-V622MB, NN-V621MB, NN-V453WB, NN-V423MB, NN-K867CB, NN-K657CB, NN-CT776SB, NN-CT756WB, NN-A883WB, NN-A880WB, NN-A775SB, NN-A774SB, NN-A773SB, NN-A772SB, NN-A770SB, NN-A775WB, NN-A754WB, NN-A753WB, NN-A752WB, NN-A750WB, NN-A725MB, NN-A724MB, NN-A723MB, NN-A722MB, NN-A720MB, NN-A714AB, NN-A514AB, NN-A524MB, NN-A554WB, NN-A574SB, NN-A712AB. NNA873SB, NNA872SB, NNA850WB, NNA713AB, NNCT559WB, NNCT569MB, NNV682WB, NNV682WB, NNV681WB, NN-V651WB, NNV653CB, NNV673SB, NNK687WB, NNK805B, NNK855B, NNA524MF, NNA850CB, NNK657WB, NNA554WF, NNA574SF, NNCT562MB, NNCT552WF, NN-V689WB, NN-V689WB,NN-V659FB, NNV659WB, NNV671SB, NNV663WB, NNV659WB, NNV653WB, NNV651MB, NNA823MB, NNA813AB, NNA811AB,NNV629MB, NNV613MB, NNV622MB, NNV621MB, NNV453WB, NNV423MB, NNK867CB, NNK657CB, NNCT776SB, NNCT756WB, NNA883WB, NNA880WB, NNA775SB, NNA774SB, NNA773SB, NNA772SB, NNA770SB, NNA775WB, NNA754WB, NNA753WB, NNA752WB, NNA750WB, NNA725MB, NNA724MB, NNA723MB, NNA722MB, NNA720MB, NNA714AB, NNA514AB, NNA524MB, NNA554WB, NNA574SB, NNA712AB. Alternative sent, of equal quality.